I feel incredibly lucky to belong to the micro generation segment; Xennials. Xennials are those who were born between 1977 and 1983. This segment is the cusp between Generation X and Millennials. Xennials experienced analogous childhood and digital adulthood. Our psyche embraced Gen X’s pessimism and Millennial’s optimistic outlook towards life. We flirted with being very rational and structured in our thought process as well as asking a lot of ‘Whys’. The reason why I am talking about this incredibly versatile generation segment is to give more context to my observations that are mentioned below. The observations are a marriage of numerically driven models as well the good old ‘gut feeling’. A healthy dose of curiosity can bring out the Xennial approach in all of us. The world around us is changing faster than ever before but we are making sense of these changes at an even faster pace. This virtuous cycle is leading to an ever increasing velocity of the changes in consumer behaviour. The marketing and communication tools/techniques have a shorter shelf life than ever and only by embracing and marrying the data backed techniques and the instinctive approaches; can we do justice to our role of shaping consumer behaviour. By no means is the list exhaustive but is fairly well sprinkled with tools, thought processes and emergent technologies to keep all of us relevant and able in our responsibilities for the next….three years. I have deliberately ignored the temptation of writing about AI & ML, IoT, Blockchain, Quantum Computing etc. because much gets written about them on a daily basis. The tooling I am writing about it are (as per me) the hidden gems that we can leverage without being an expert on any of them. Insight mapping and trend analysis through Unstructured Data: Even in an era, where every action of a consumer is being tracked and stored; only about 5% of those actions are captured in a structured format. Structured format would entail a framework where data is captured, stored, retrieved in an organized manner. 95% of the relevant data/actions are still outside the purview of the structured data-basing techniques. A comment on social media, feedback on the app stores, a Reddit discussion, grievances on a redressal forum; users are creating an avalanche of content in the most unbiased manner possible and thus, shaping the mood around the brand as well. We as consumer behaviour professionals are sitting on a veritable goldmine of insights. To depend on qualitative/quantitative research methodology that have millstones around their neck (time consuming, costly, small sample size, user bias etc.) is an action fraught with danger. Traditional research techniques are relevant but why can’t we push for real-time consumer insights that are unbiased, free flowing and emerging from a huge sample size. Social Media listening tools can be deployed to go through thousands of conversations happening around your brand, category and generating real-time insights. The ‘insight to impact’ journey needs to leverage upon the unstructured data. Appealing to the instincts with the help of Behavioural economics: As a human being; we train ourselves to think logically and act rationally. Unfortunately our cognitive power is a fire that was forged in the Savannahs of East Africa 100,000 years ago. Our irrational/instinctive part of the brain is the one that shapes the consumer behaviour. 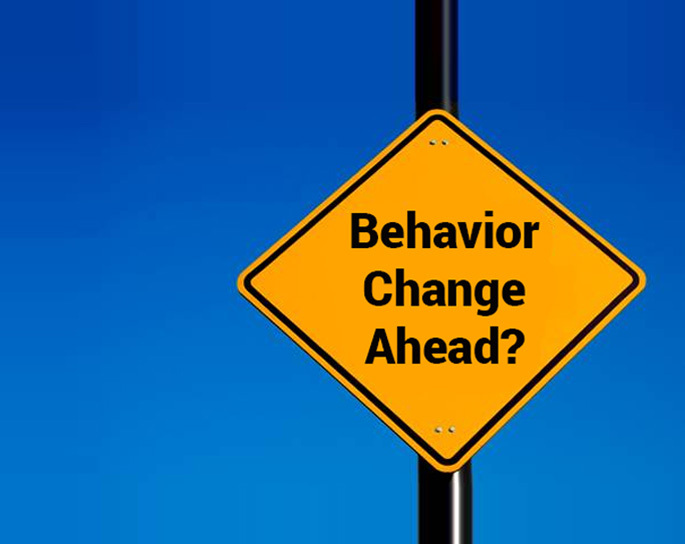 The study of a human behaviour to explain their economic decision-making is what Behavioural Economics is all about. Loss aversion theory will explain why a person buys insurance policy not because he is gaining something (peace of mind) but he is de-risking a future loss (family’s well-being if the chief earner dies uninsured). How we position our brands, our communications, needs to be cognizant of the fact that rational, logical brain only kicks in after the irrational part of our psyche has done its job in lowering or raising the acceptance bar. A lot of times we think by giving facts & figures is enough. It’s not. The facts and figures need to appeal to the consumer; her behaviour needs to accept our facts & figures. That’s where Behavioural Economics helps in shaping the consumer behaviour by de-mystifying the way we, human beings think on a sub-conscious level. ‘Predictably Irrational: The Hidden Forces that Shape Our Decisions’ by Dan Ariely is good book to understand Behavioural Economics better and start applying some of the insights that have been hiding in plain sight. Mass personalization to a user segment of one: All of us buy products to improve our life. Ethical consumer behaviour professionals need to give these solutions at the right time in that person’s need-state. International calling cards ad being shown up while at the airport, traveling abroad is an intervention that helps both the parties immensely. The fun starts when you start personalizing the product and communication proposition tailored to a person’s needs and not a segment’s needs. It helps the person get what she wants quickly enabling happiness downstream and it helps save something more valuable than money; time. Having the right tech stack & audience behaviour logics (the yin & yang of the Xennial approach) brings relevance for the consumer. Xennial approach combines the best of data driven and experience enabled techniques. We can’t change the year we were born; but we can all borrow from the approach to help our consumer choose better. Gaurav Mehta is the Chief Marketing Officer of GirnarSoft, parent company of category leading consumer internet brands like CarDekho, Gaadi, Zigwheels, BikeDekho, Oto.com (Indonesia) amongst others. 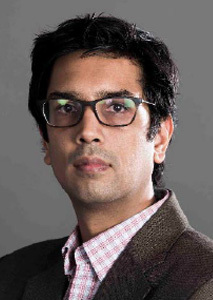 In his previous employment, Gaurav was Chief Marketing Officer – South Asia for OLX. He drove OLX to become among the most trusted and admired consumer internet brands of the country. He was one of the first few employees to have joined OLX, and has led marketing initiatives that are responsible for OLX becoming a market leader in a short span of time. A post graduate in Brand Management and Media Planning from MICA, Gaurav has diverse experience spanning 16 years, which includes 10 years as a leading digital business expert in companies such as Yahoo and OLX. An analytics and research driven marketer, Gaurav has been in the mobile marketing space since 2008, and has also showcased his entrepreneurial streak with his company, BrandDNA, a branding and marketing consultancy. Under his leadership, OLX emerged as the top ten searched terms by Google Zeitgeist in 2013 and 2014. He was also felicitated with the ‘Marketer of the Year’ award at the second edition of Exchange4Media Indian Marketing Awards in 2015 and Power Profile by LinkedIn in 2016. He is an avid reader with interest in the field of politics, economics, and history. He is also a trained horse rider and skier. Effective PR and reputation management is key to any business strategy in the digital world. Check out the focus areas on PR Trends for 2017 shared by Sujit Patil.